The PremiumSlides Charting Kit includes a eBook Guide with 152 pages full of charting secrets. Plus 9 Premium Chart Template files, 3 Bonus Template files, 1 PowerPoint Presentation Master Template and 1 free Charting font. With the PremiumSlides Charting Guide you will learn to do awesome work in Microsoft Excel you have never done before. Create professional looking charts with just few clicks and learn the secrets of world class agencies. You can do it, even if you have never worked in Excel before. Is this really Microsoft Excel? Yes - The Charting Guide shows how to do it. Stop it today! Become a professional Chart creator now! In less then one hour you will be able to send out your first Premium Charts to your colleagues. You will receive great feedback as we do every single day for our presentations. Great Resource not only for Professionals. 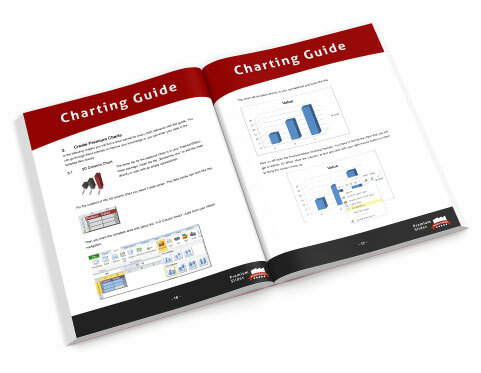 The Premium Charting Guide is written for all skill levels. It starts at beginners level and leads you with step by step tutorials through the entire Chart Creation Process. Many detailed figures and the included sample files makes it simple to understand how Charting in Excel really works. The Premium Charts in this brochure are completely Microsoft Excel based. 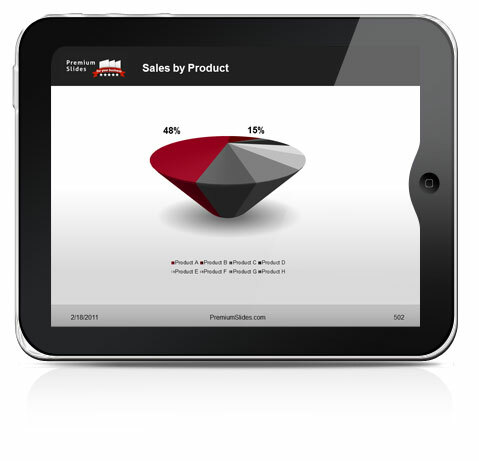 With the help of Premium Chart Templates and the easy understandable How-To-Guide you will create Charts for Brochures in minutes. 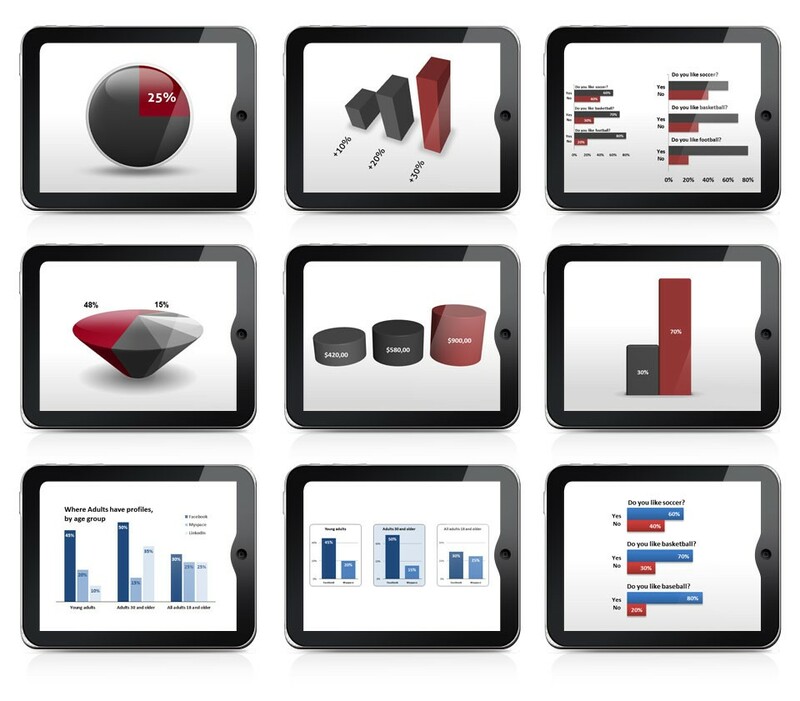 The PremiumSlides Charting Kit includes these 9 professional designed chart template files. You will learn to create these samples in your step by step tutorials. With this knowledge you will be able to create even more great Chart variations in future. With every Purchase we give away these three free Bonus templates. You will receive a link for unlocking these templates with your PremiumSlides Charting Kit.